If you have had a chance to look around the site, you may have found this in the Bits and Pieces section. 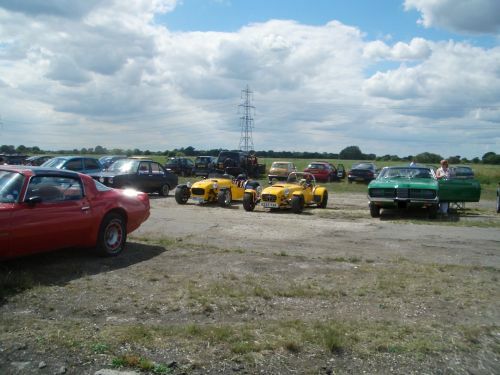 The car seemed to have disappeared so we were pleasantly surprised to get an email from Dave who now owns the car. Dave recently - June, 2004 - bought the car at an auction, with 12 months MoT and 10,980 miles on the clock. Included with the car was some interesting documentation which goes some way to helping us understand the availability of Australian Fords in the U.K. new, and yet, again, continues some of the mystery. 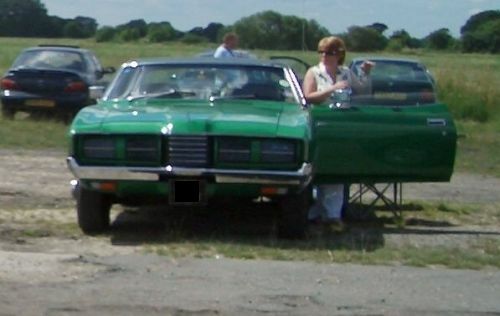 Dave has a letter from Invicta Motors in Canterbury, who seem to have been great sellers of Australian Fords, dated January, 1976, to the original owner congratulating him on his purchase and enclosing a V55 registration form, yet the car was not first registered until August, 1977. 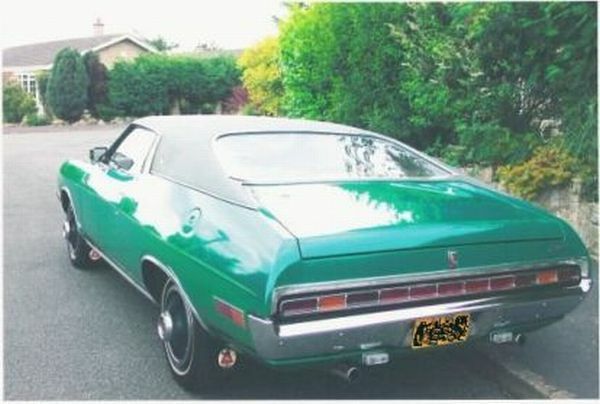 Even stranger is that a decoding of the VIN shows that the car was actually built built in September, 1973. I wonder what was going on ? 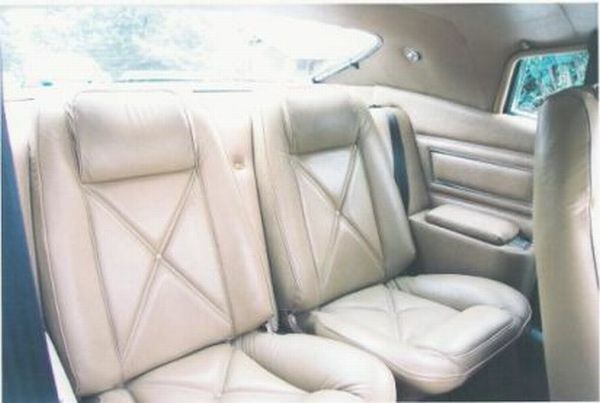 The beautiful leather interior, with buckets front and back. 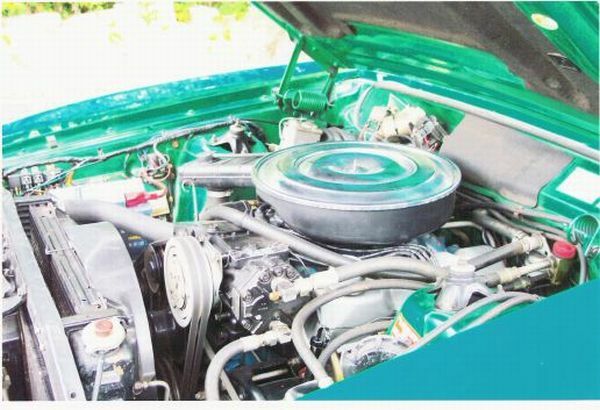 351ci Cleveland V8 with air conditioning. A lovely, original, low mileage car. The history of Australian Fords in the U.K. is interesting, but to some extent shrouded in fair ammount of mystery and just plain non-availability of information, so it is intriguing to come across snippets like this below. 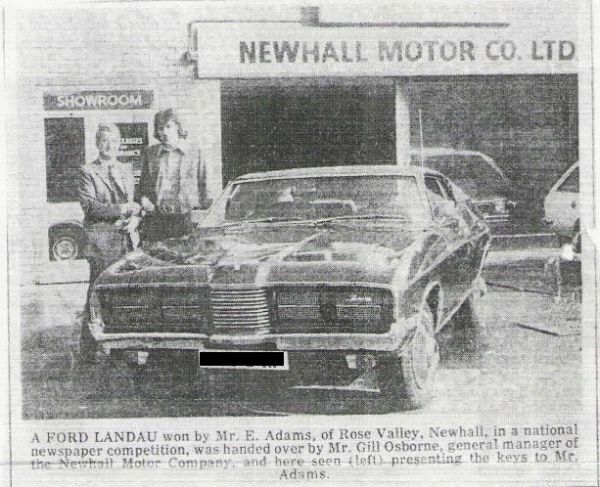 When Dave acquired his Landau, included with all the paperwork was this newspaper cutting. Does the car still exist, does the garage still exist, and did Mr Adams enjoy is car ? 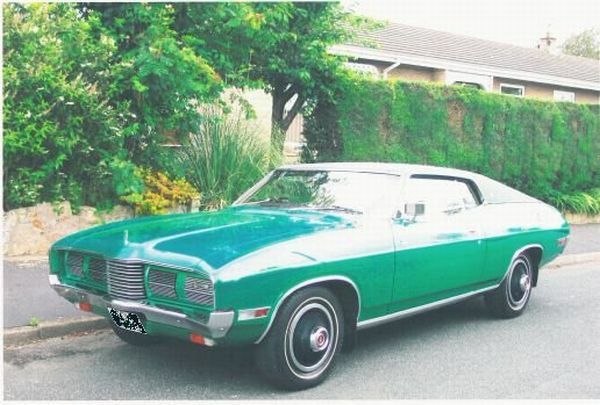 Unfortunately it is undated, but by the ‘P’ registration and assuming that the car was brand new, it must be about 1976, and if so, represents the last year of Landau production with only 56 cars built. Dave has a letter from Invicta Motors of Canterbury, dated 23rd January, 1976, saying they have the pleasure of enclosing the V55 for registering his new Landau. It is addressed to a Mr Smith of Burton Metal Fabrications Ltd in Stoke on Trent. Strangely, the actual registration document then shows a date of first registration of 8th August, 1977. 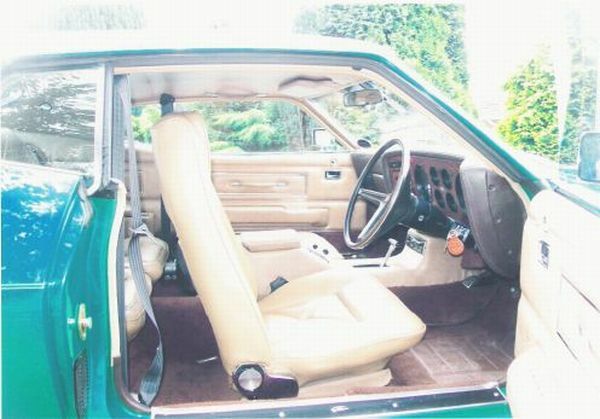 As Dave’s Landau an August, 1973, manufactured car, it would appear that it got its first legal opportunity to drive on British roads four years after it was built. 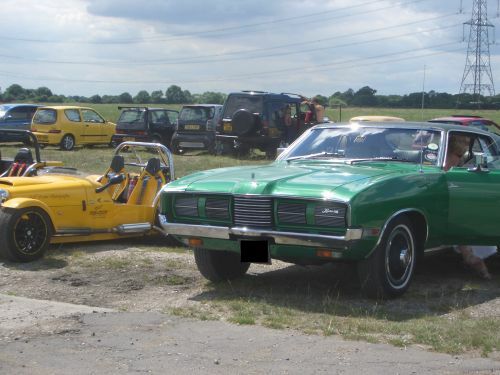 The car then appears to have stayed in the same family - being passed to Mr Smith’s brother - until it came up for sale in 1996, and then passing through a couple of owners before Dave acquired it. Dave has been out and about enjoying the Landau through the summer of 2005. 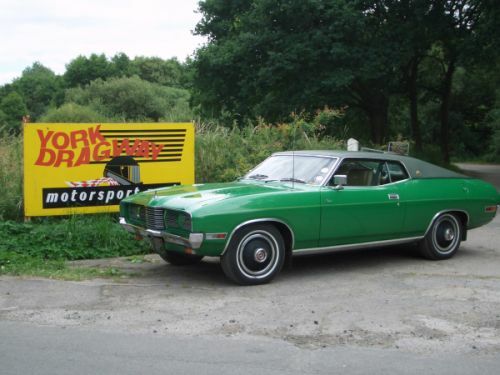 Here are some photos of a visit to the dragstrip at York Raceway.